UNITED NATIONS ACADEMIC IMPACT AND MCN PROUDLY PRESENT ELONA BOATENG, A MILLENNIUM FELLOW FOR THE CLASS OF 2018. "I am passionate about sustainable development. I wish for a world of equality, inclusiveness, and justice for the vulnerable and less-privileged. 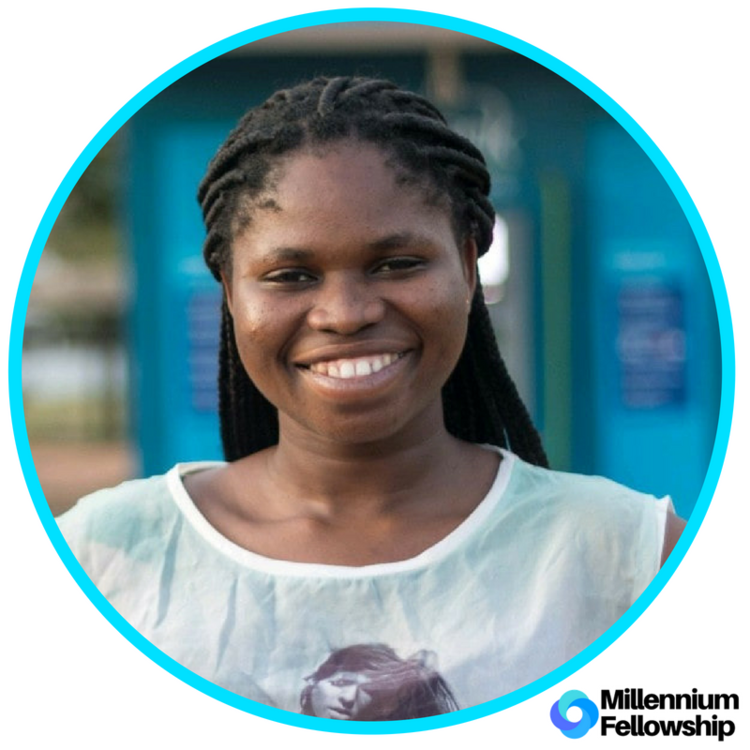 I count it a blessing to be a Millennium Fellow as I will be equipped with character and skills to make sustainable development a reality"
Elona Boateng is Ghanaian from the Brong Ahafo Region. She is currently a senior at Ashesi University studying Business Administration. Outside of school, she loves participating in community engagement projects and volunteer activities. She is passionate about Sustainable Development. Elona hopes to use her experience, skills and commitment to achieve the development goals so that precious, but vulnerable, underprivileged lives can be transformed. She is a mentor with two projects: Mentors Network and Young Achievers Foundation. Mentors Network is a student-led initiative aimed at inspiring, mentoring and developing students in rural community schools to improve school attendance, academic performance and unleash potentials. Young Achievers Foundation promotes access to higher education for determined, brilliant, low-income students in deprived areas of Ghana. Elona cares about integrity, equality, justice, and inclusiveness. Connect with Elona Boateng via Twitter, Facebook, and Instagram.